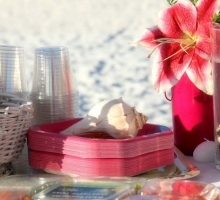 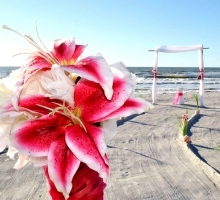 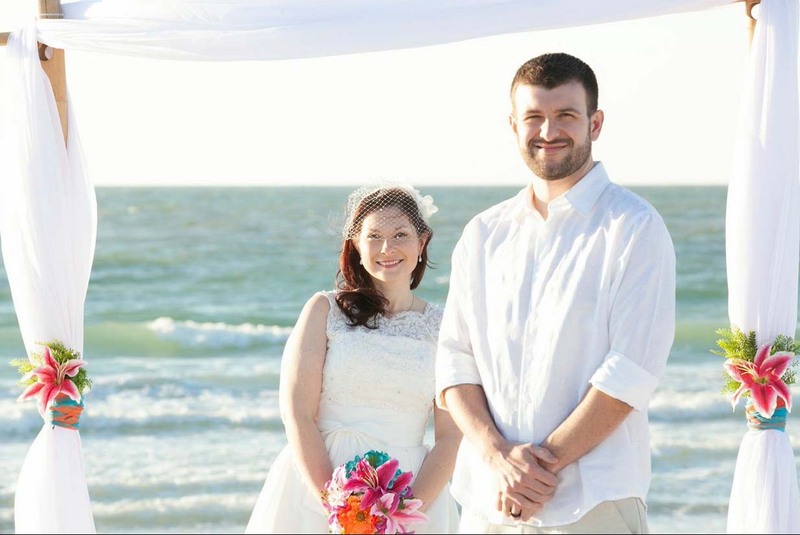 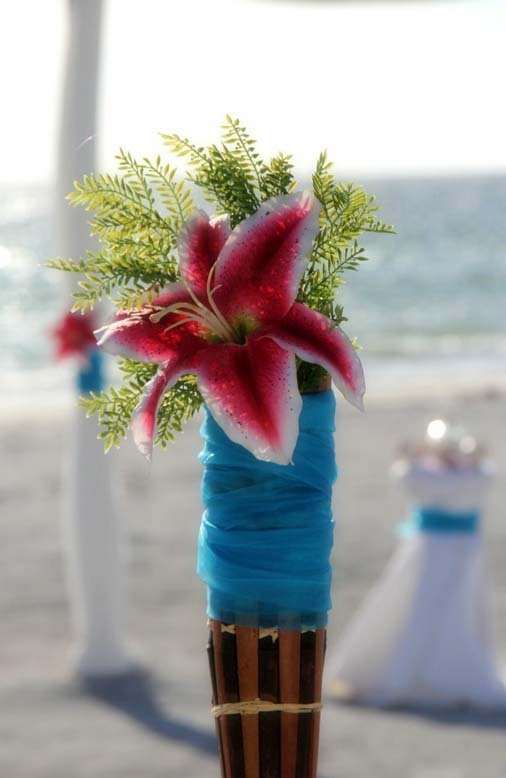 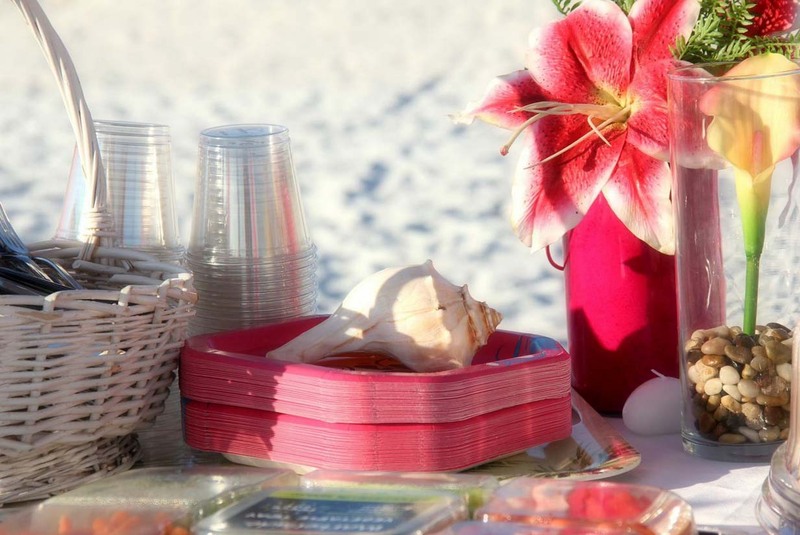 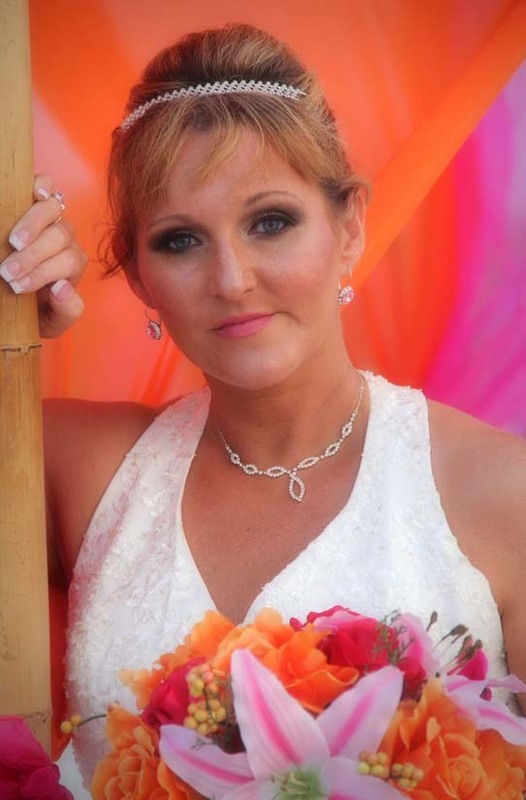 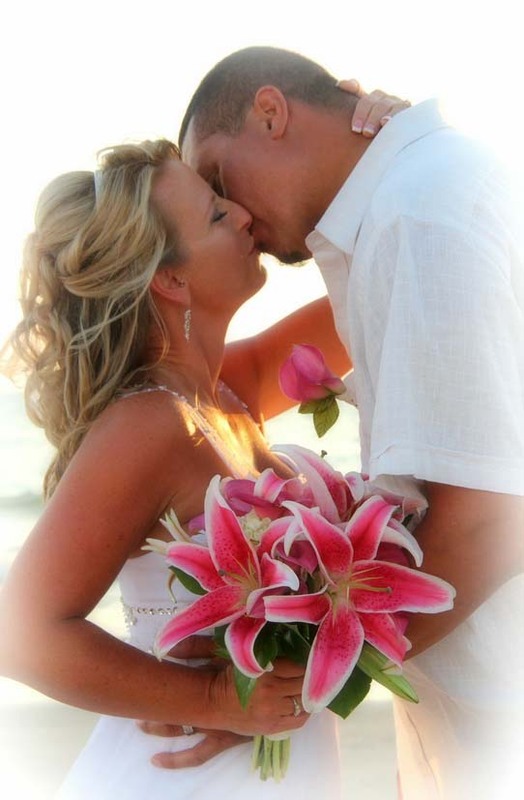 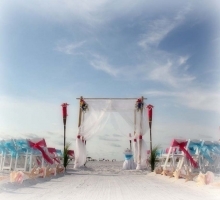 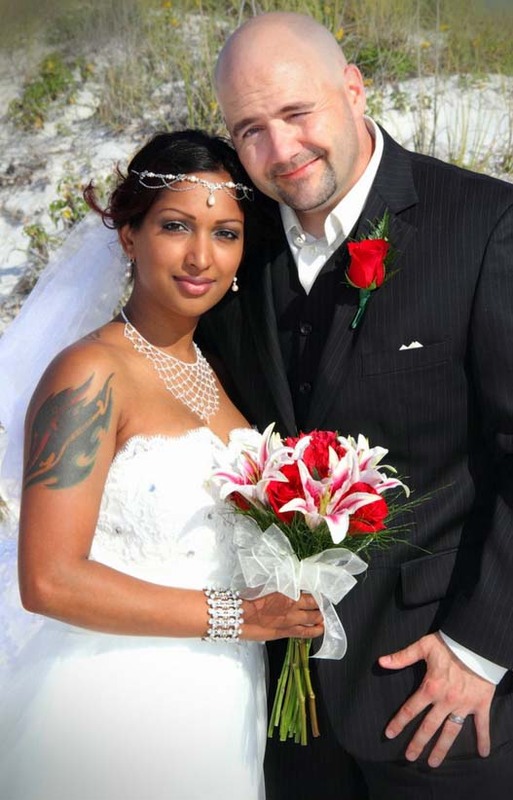 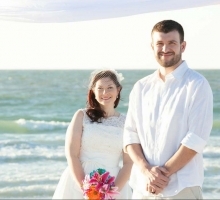 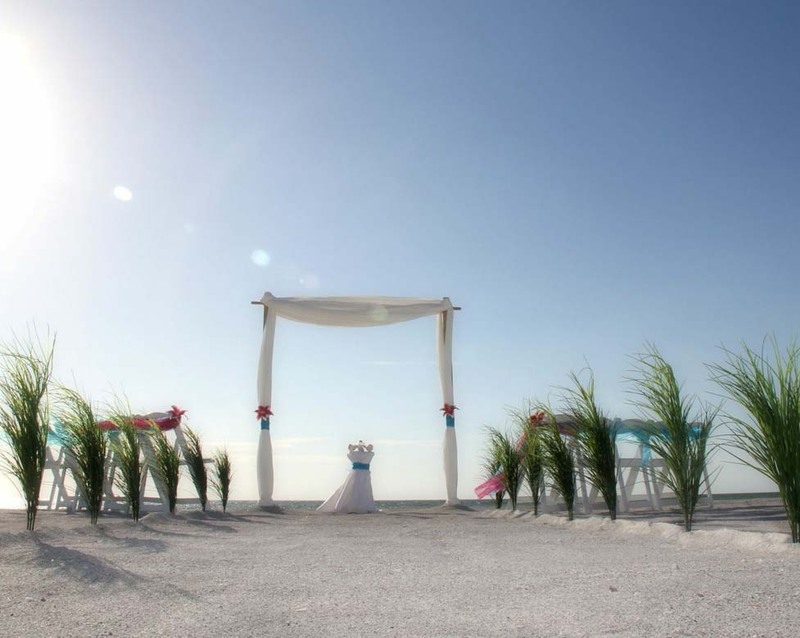 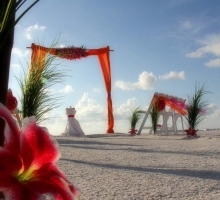 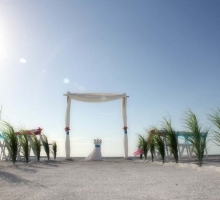 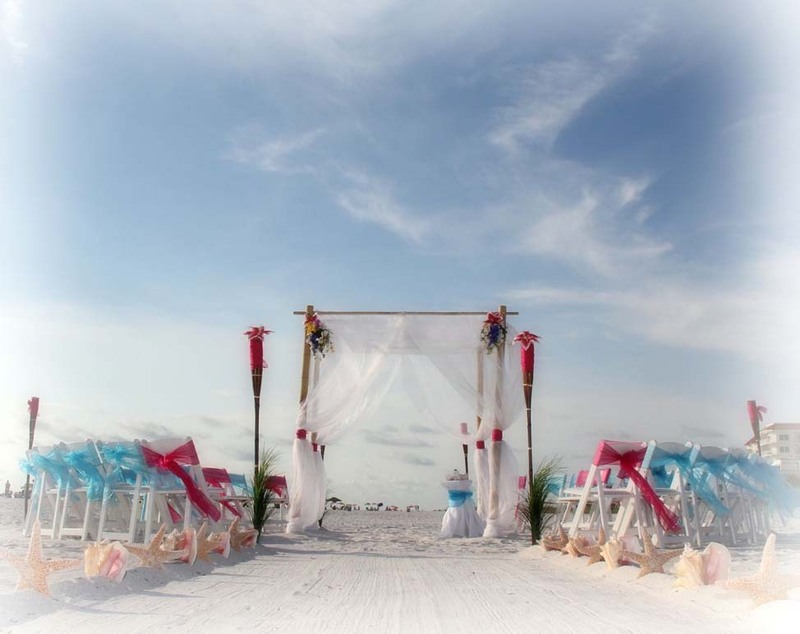 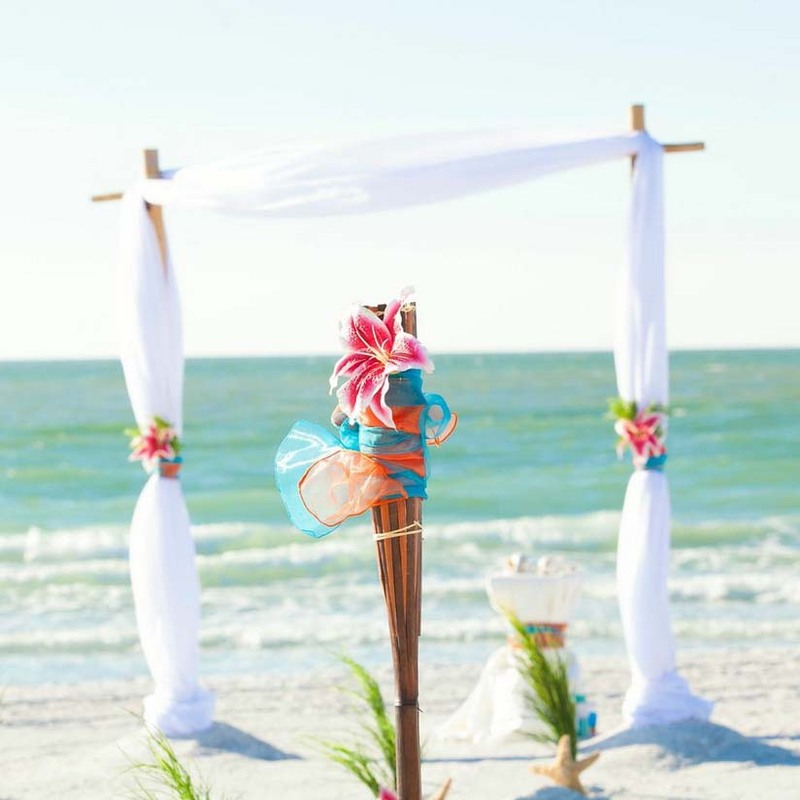 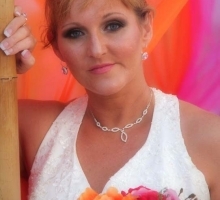 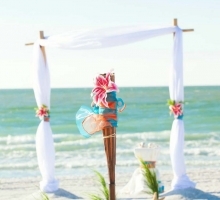 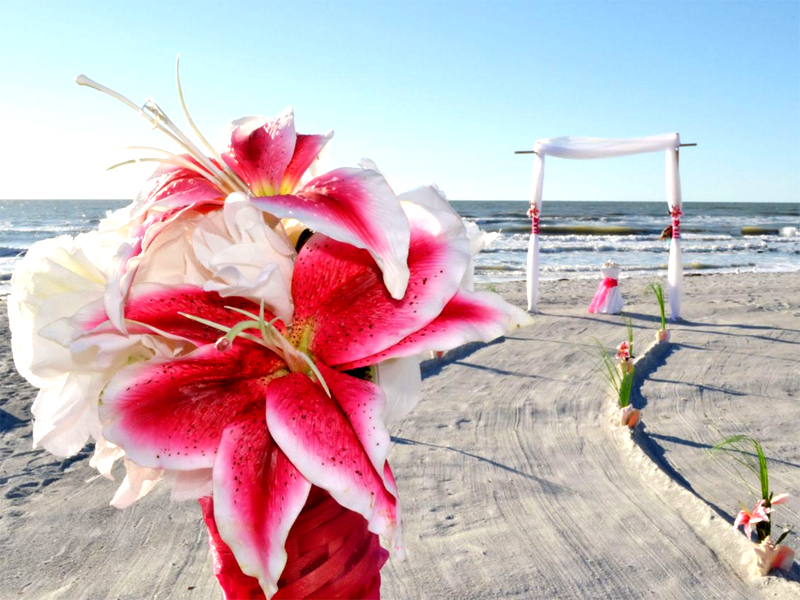 Stargazer lilies rank as one of the most popular Florida beach wedding themes. 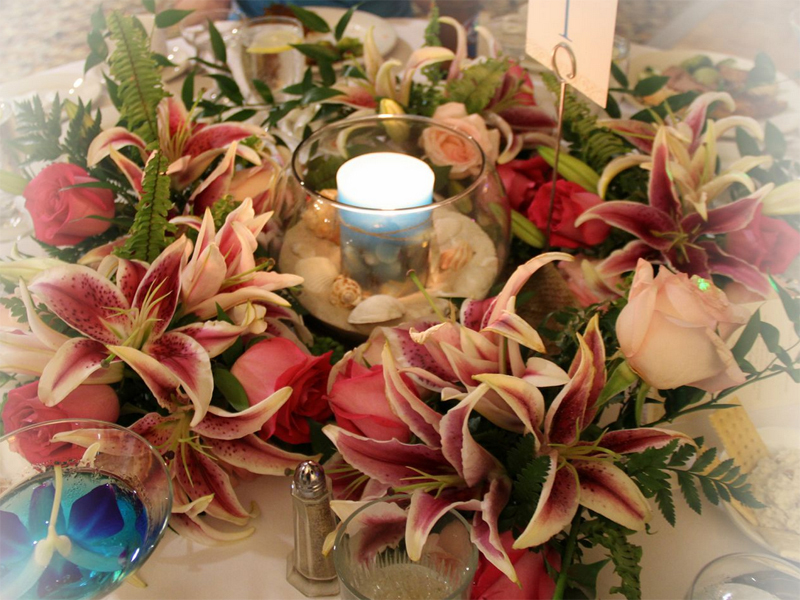 Easily accessible, reasonably priced and striking, these beautiful flowers bring deep colors and exotic beauty to your day. 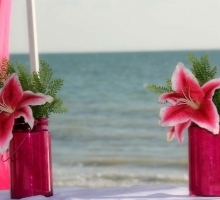 Pink stargazers are said to symbolize romance, wealth and prosperity. 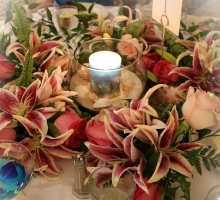 A distinctive, strongly scented flower with personality galore. 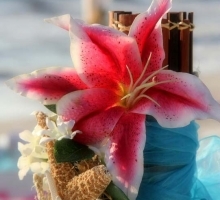 It's hard to believe it was only developed as recently as 1978 - a cross between an Asiatic lily and an Oriental lily. 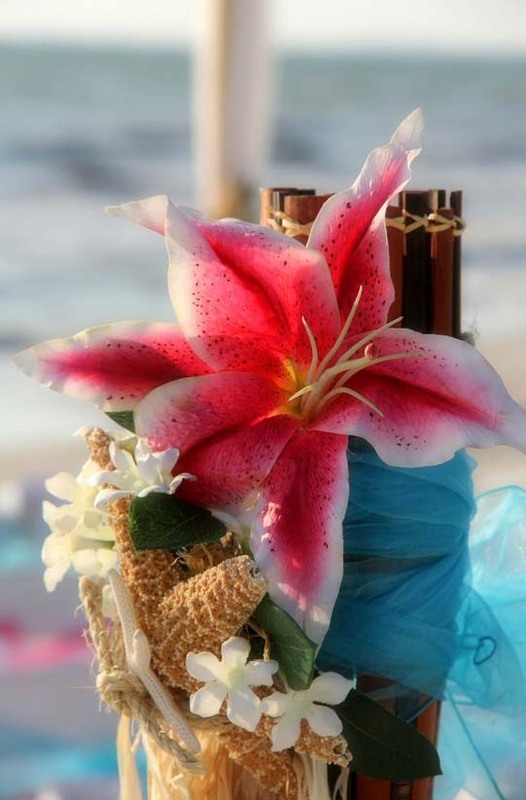 In a bouquet, the tikis, or tied to the archway, they add a burst of brightness and beautifully accent your day. 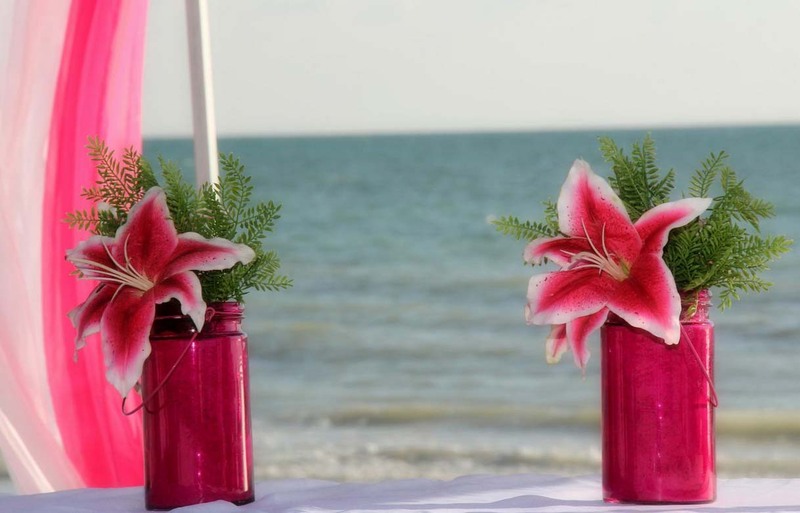 White or pink, they add a touch of the exotic to your service and you have a ready-made anniversary present idea when you go back home! 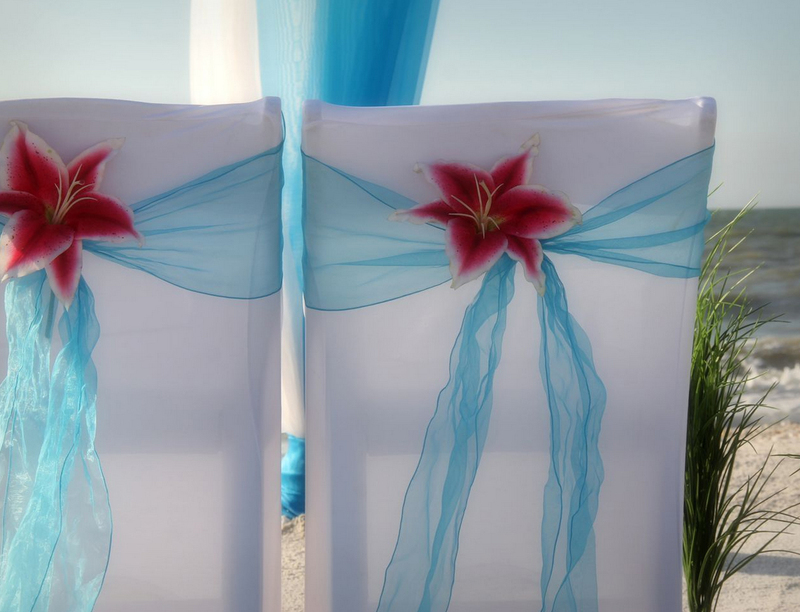 We really like the 'peekaboo' stargazers shown in our gallery on the back of each chair against a crisp white chair cover. 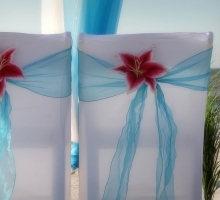 They will transform your setting in an instant. 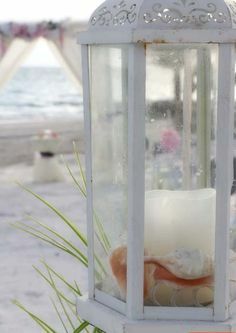 If you are having a reception, they make stunning centerpieces around votive candles. 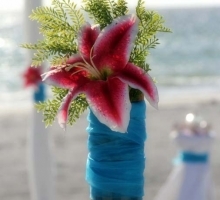 Stargazer lilies are sure to stand out against subtle chiffon shades and are strong enough to enhance a vibrant and bold arch with orange or pink tones. 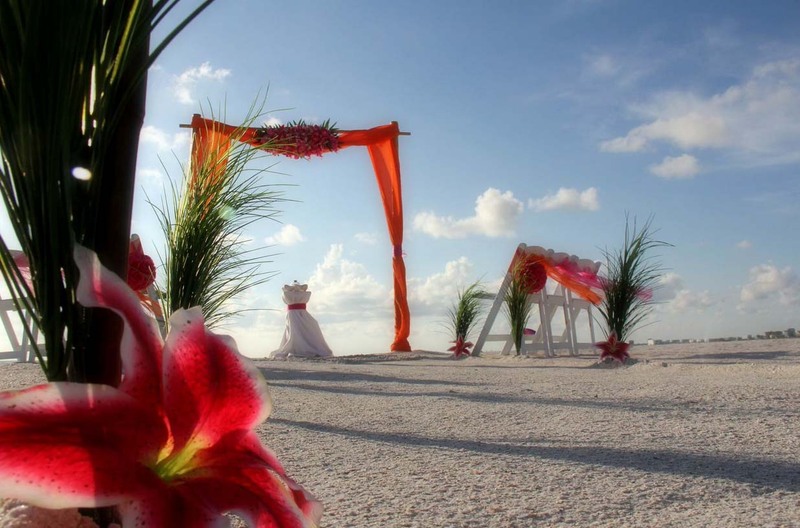 Bold and beautiful, distinctive and memorable: browse our gallery to see the choices and options.